The Department of Psychology and Communication made arrangements so that Communication majors were able to experience first hand a local television studio and its daily operations. 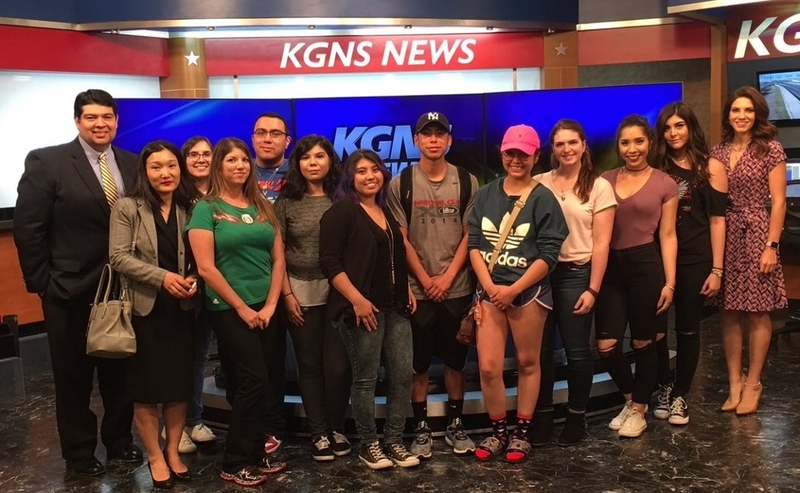 Eleven students enrolled in COMM 4330 Broadcasting Production went on a tour of the KGNS-TV Newsroom as part of their class activities. News Director Gerardo Garza showed students the newsroom, where they observed the process of the news team while they pre-recorded their 5 p.m. newscast. The students from Dr. Ju Oak Kim class were also allowed to stay inside the TV studio and control room. Dr. Kim said the visit was a good way for students to experience how a news studio works in real life. “Students have become better equipped with the news production, which will help them to produce their own live programming in the future," Dr. Kim said.